World-known professional DAW software for DJs and music producers that is suitable for both live applications and studio/production work, combining the Session and Arrangement View tools and providing quick and intuitive access to composing, flexible performance and improvisations. This “Suite” version allows for creating unlimited audio and MIDI tracks and unlimited Scenes and offers 5000+ sounds (70+GB), 13 software instruments including brand new Wavetable synthesizer, 41 audio effects including new Echo, Drum Buss and Pedal effects, and 15 MIDI effects. The software also provides 12 Send and Return tracks, 256 mono audio input channels and 256 mono audio output channels, Capture function, Max for Live feature, complex warp modes, Audio-slicing and audio to MIDI convertor. 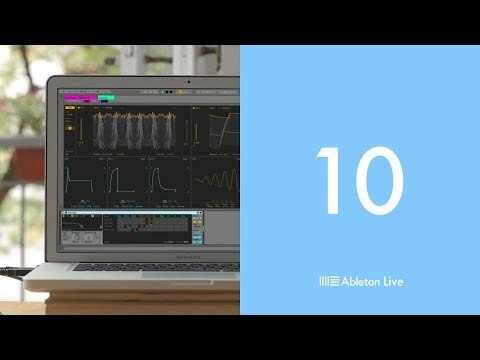 Do you own ABLETON Live 10 Suite or have you had a chance to try it?